Amenities such as a new mother suite, meditation and relaxation rooms, showers, and on-site café with a nutritional program, ‘RAdish’, and a multi-purpose client conference center spanning two floors earned Neuberger Berman’s new global headquarters a 2017 Avenue of the Americas Association’s Avenue Architectural Award. 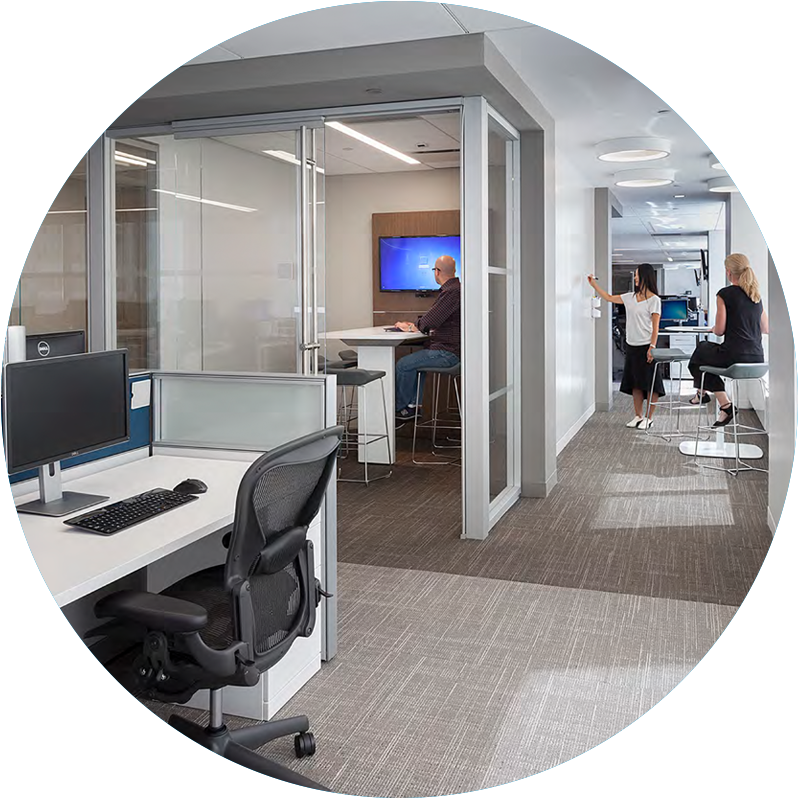 After 25 years at the same midtown office, the relocation of its global headquarters to 1290 Avenue of the Americas provided the investment management firm with an opportunity to transform its space to better align to its culture, where a commitment to client partnership and employee collaboration are hallmarks of the firm’s legacy. 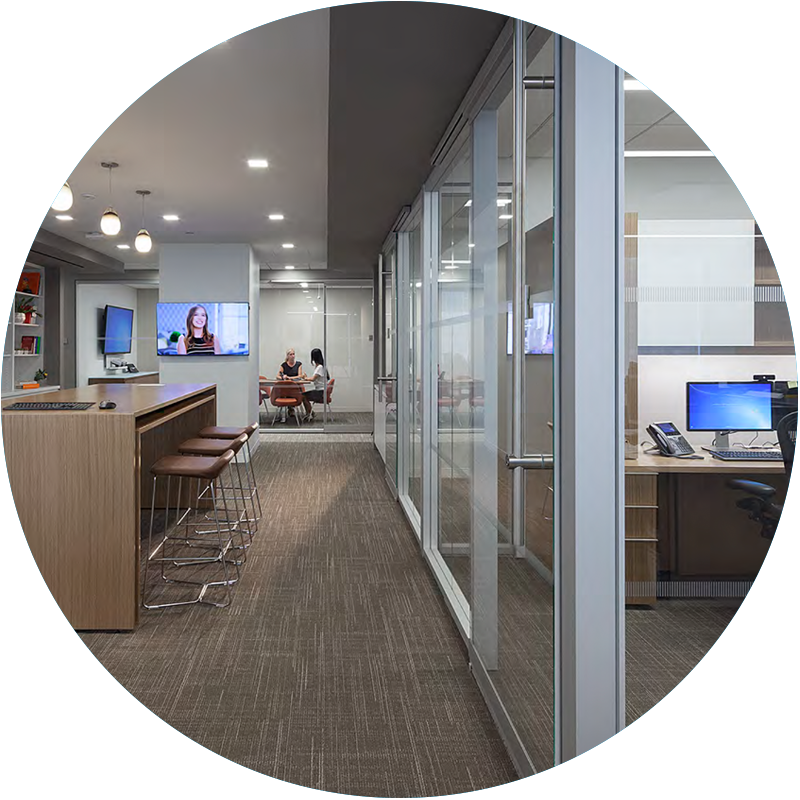 Choosing an activity-based design, Neuberger Berman used extensive utilization studies to inform the new space. Part of this included a balanced shift in direct square footage from employee to amenity spaces. Demand for conference space was augmented with more localized team and huddle rooms, encouraging informal meetings and greater collaboration. Neuberger Berman has been named a “Best Place to Work in Money Management” (among those with 1,000 or more employees) by Pensions & Investments each year since 2013. Its new space, designed by Ted Moudis Associates, has already had a positive impact on the employee experience.